Sometimes visiting home can be stressful. Who are you going to see? Will you have time for everybody? What are you going to eat (which is obviously the most important question of all)? But seriously, there’s a part of me that really hates planning things out especially when it comes to my social engagements. So when I’m forced to divide my time between mom, dad, sisters, and friends AND I need to come up with some suitable activity, I get a little stressed out. I have all these expectations of how my trip should go and other factors are always getting in the way!! But all my neuroses aside, I had a great time at home. I got to see some friends and catch up, but I also got to relax quite a bit. Highlights from the trip include: seeing at dear friend at a barbeque (and no one does a barbecue quite like Mississippi in my opinion), playing Settlers of Catan, insisting on a ‘spa day’ (which just means I forced my mom and sister to use this awesome new mud mask I bought), and watching Lifetime original movie Steel Magnolias starring Queen Latifah with my mom. I’ll be honest, I didn’t have extremely high expectations for the film, but mom and I were both quite misty by the end of it. Was it exactly what I was expecting? Maybe not. But sometimes that’s when the best things happen. 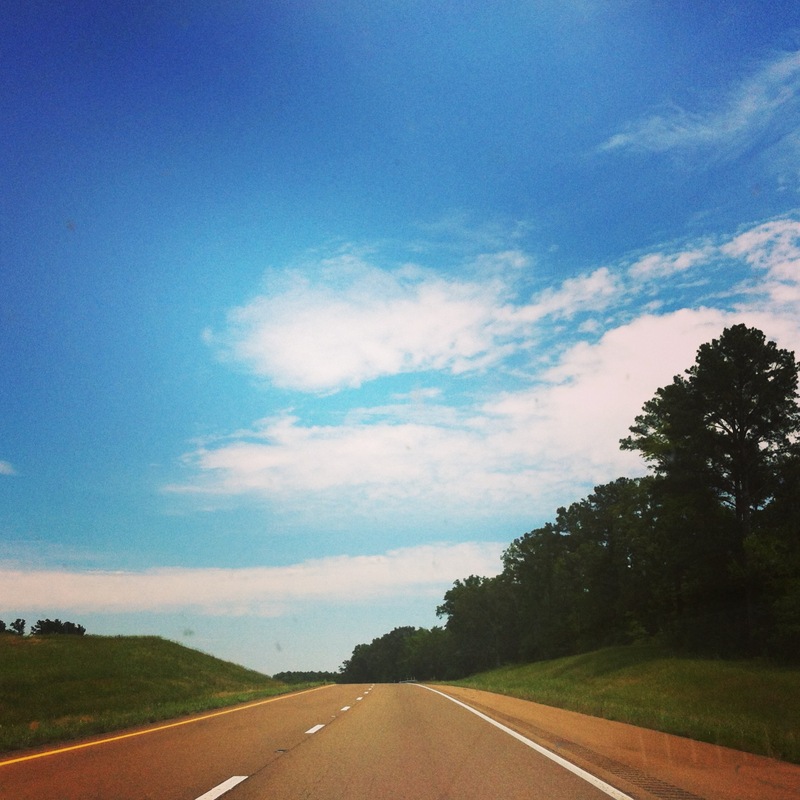 A beautiful view of a Mississippi interstate highway. On a slightly unrelated note, I stuffed all three of the Fifty Shades series in my suitcase for my return flight home. My sister convinced my mom to read the first one and she just had to finish the trilogy. Do I have great expectations for these books? Not really. When I asked my mom about the books she said, “I have to admit, I do not think I am limber enough for some of the activities in those books.” These books may be trashy and horribly written, but with a statement like that, how can I not read them? I need to see what all the fuss is about!! ← Please, take me back home to Mississippi!